KRACK Wi-Fi attack problem in Wi-Fi’s WPA security protocol which makes it possible for attacker to eavesdrop on your personal data when you connect to Wi-Fi. 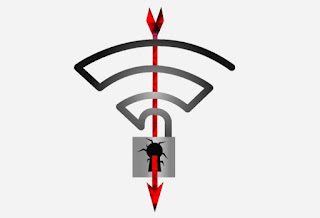 KRACK the issue affects the Wi-Fi protocol itself not specific products or implementation and works against all modern protected Wi-Fi networks,according to Mathy Vanhoef, the researcher that discovered it. That means that if your device uses Wi-Fi, KRACK will effect you. They discovered serious weaknesses in WPA2, a protocol that secures all modern protected Wi-Fi networks. An attacker within range of a victim can exploit these weaknesses using key reinstallation attacks (KRACKs). Concretely, attackers can use this novel attack technique to read information that was previously assumed to be safely encrypted. This can be abused to steal sensitive information such as credit card numbers, passwords, chat messages, emails, photos, and so on. The attack works against all modern protected Wi-Fi networks. Depending on the network configuration, it is also possible to inject and manipulate data. For example, an attacker might be able to inject ransomware or other malware into websites. How is the KRACK break your Wi-Fi security? What are devices that affected by this KRACK? If your device uses Wi-Fi, it’s likely vulnerable to the KRACK Wi-Fi security flaw to some degree, though some get it worse than others. How we will protect ourself from this KRACK’s Wi-Fi? Keep your devices up to date as Vanhoef says “implementations can be patched in a backwards-compatible manner.” That means that your device can download an update that protects against KRACK and still communicate with unpatched hardware while being protected from the security flaw. Given the potential reach of KRACK, expect those patches to come quickly from major hardware and operating system vendors. So you should upgrade and update your Routers, Switches, laptop or any electonic machine so you will be safe and keep your eys on any new update for your devices.